Recently, the long-forgotten letters of a homesick South African War volunteer were discovered in the photographic files at MuseuMAfricA. Unaccessioned and undetected, they had languished there for over forty years, and it is impossible to say now how they came into the museum’s possession in the first place. The letters, seven in all, were written between 15 February and 18 September 1900 by Cyril Caesar Hawkins, formerly of the Imperial Light Infantry and later a trooper in the Imperial Light Horse. He was 22 years old at the time. (1) Four letters were addressed to his mother in Pietermaritzburg and the remainder to his sister, Edie. Apart from their human interest value, providing as they do an ordinary soldier’s perspective of military life, the letters also have relevance to such campaigns as the storming of the Tugela heights, the relief of Mafeking and the capture of Barberton. Hawkins wrote with little regard for grammar or sentence construction, but apart from adding the occasional comma, minimal changes have been made to his correspondence so as to preserve its original flavour. Sundry references to family and friends have, however, been omitted. Hawkins’ first letter, dated ‘Springfield 15-2-1900’, is addressed to his sister in Eshowe. A few days prior to this date, in the aftermath of his abortive attack on Vaalkrans, General Buller had decided to move the bulk of his force back to Chieveley, east of the railway line. Cavalry commander Lt Col J F Burn-Murdoch was left in charge of the remainder at Springfield, today the hamlet of Winterton, on the Little Tugela. Burn-Murdoch’s division consisted of the cavalry, York and Lancaster Regiment, Imperial Light Infantry, ‘A’ Battery Royal Horse Artillery and two naval 12-pounders. (2) At that time, Hawkins was in the Imperial Light Infantry. The digging of entrenchments by the Boers (referred to in the extract) could only have been visible through binoculars. They may have been those stationed at Brakfontein, the ridge linking Spioen Kop and Vaalkrans some ten kilometres away, or possibly those on Thabanyama further west. The reference to Germans can be explained by the prominent role played by both the Imperial Light Horse and the Boer’s German detachment at the battle of Elandslaagte. Being an imperial volunteer himself, Hawkins would have been familiar with this. Hawkins joined the Imperial Light Horse on 13 April 1900, just in time to embark with the regiment for Cape Town from Durban four days later. During the course of the journey, it was learned that the ILH was to be sent to Kimberley to form part of a force being put together by General Hunter to relieve Mafeking. Colonel B T Mahon was eventually entrusted with the command of a flying column which on 4 May set out from Barkly West to link up with Colonel Plumer approaching from the north. The column, roughly 1150-strong, was comprised mainly of two locally-raised regiments, viz the ILH (814 officers and men) and the Kimberley Mounted Corps. (6) Other components included 100 men from General Barton’s Fusilier Brigade, two pom-poms and four guns of ‘M’ Battery, RHA. On 16 May, Mahon and Plumer having successfully linked up, Mafeking was duly relieved after a siege lasting 217 days. The battle in which Hawkins was wounded took place near the Maritsani River on 13 May. It was the only attempt the Boers, preoccupied with trying to stem General Hunter’s advance further east, were able to mount to halt the flying column. A commando under Commandant Liebenberg, numbering 600 with the majority being rebels from Griqualand (7), finally managed to place themselves in Mahon’s path, occupying the heights at Koedoesrand, overlooking the main road through which his men would pass. Anticipating this, Mahon had decided to make a detour to the west, avoiding Koedoesrand altogether. It was a sensible decision, given the relatively small size of his own force. The column was advancing through bush country when, around 16.00, ILH scouts reported that a large number of Boers were marching parallel with the column with the evident intention of heading it off and attacking it. (8) So thick was the bush that Mahon’s advance guard ran right into them and was temporarily driven back before the rest of the force rallied and set about clearing their assailants from the road. (9) The ensuing engagement lasted for perhaps three-quarters of an hour, but sporadic firing continued until long into the night, explaining why the wounded Hawkins was only brought in around 23.00. The fight took the form of a large number of personal duels with firing taking place at close range. The ILH stood their ground well and the accurate fire of the artillery eventually beat off the burghers. Casualties on both sides amounted to about thirty killed and wounded. The Sampson referred to here is Colonel A Woolls-Sampson, OC of the ILH. He had fought with distinction at Elandslaagte and, in the process, had been severely wounded. By all accounts he seems to have been a brave and dedicated officer. However, as the above references to him show, he was unpopular with his men, and not without reason. For example, when the regiment entered Johannesburg, many of the men of the ILH (who, unlike Hawkins, came from the Rand) had requested a few hours leave so that they could investigate whether their property in the city was safe. Without communicating to his officers his reasons, if any, Sampson had refused – a decision which was particularly resented. The ILH had other grievances and, as Gibson notes, there was a great deal of dissatisfaction in the ranks around this time. (11) Not only the rank and file were concerned about Sampson’s leadership. Kitchener went so far as to send a cable to London, asking that he be relieved. (12) It probably came as relief to all concerned when he became an Intelligence Officer. Apart from having another dig at Woolls-Sampson, the letter notes the difficulties the ILH experienced with their remounts, believed to have come from Hungary. Though these were good-looking animals, they either did not acclimatise or possessed no stamina, and Lieutenant Blake eventually had to be sent around to the well-known horse breeding farms in the district to obtain replacements. (13) There is also a reference to the previous day’s attack by Commandant Dirksen’s Boksburg Commando on a small outpost of Canadians (incorrectly identified by Hawkins as New Zealanders) at Wonderfontein. Dirksen broke off the attack when he learnt of the ILH’s approach and was well clear by the time they arrived. The skirmishes described at the beginning of the letter took place between 12 and 14 September 1900. On 12 Sept ember, the Boers, to cover their withdrawal, brought a 15-pounder and a pom-pom into action but without success, causing neither casualties nor delay. This is hardly surprising since, as Hawkins remarks, their shells invariably failed to burst. Seven wagons full of supplies were captured by the ILH after the British brought their artillery into the picture. Another wagon was taken on 13 September, as well as 100 horses and 900 sheep. For a change, therefore, the perpetually hungry troopers had more than enough to eat, and this doubtlessly explains the relatively upbeat tone of Hawkins’ letter. That same day, French, at the head of the 1st Cavalry, outflanked Smuts and captured Barberton without a shot being fired. These were indeed heady days for the British Army in South Africa. Enemy resistance was collapsing on all fronts and the war was becoming little more than a mop-up operation. Hawkins can be forgiven, therefore, for writing that it was practically all over. Little did he realise that the war, whose end he had longed for ever since joining up, would run for almost another two years. Apparently well beaten, the Boers were unexpectedly about to launch a new phase in the conflict, effectively introducing guerrilla tactics to counter their opponents’ numerical superiority. What part, if any, Hawkins played in this phase is uncertain as we have no further letters of his (at least not in MuseuMAfricA). However, since the ILH Memorial to their dead in the South African War does not include his name, we can at least assume that he survived it and returned to his family, perhaps even convincing them and himself as the years went by, that it was actually all a fine old adventure in retrospect. 1. The author wishes to thank Colonel Gibson of the Light Horse Regimental Association for this and other pieces of information regarding Hawkins. Col Gibson, incidently, is the nephew of the Gibson mentioned below. 2. Amery, L S (ed), The Times History of the War in South Africa (London, 1906), Vol III p 328. 3. Scott, C H, The Boer invasion of Natal, being an account of Natal’s share of the Boer War of 1899-1900 as viewed by a Natal Colonist (London, 1900), pp 219-20. 4. Holt, E, The Boer War (London, 1958). 5. 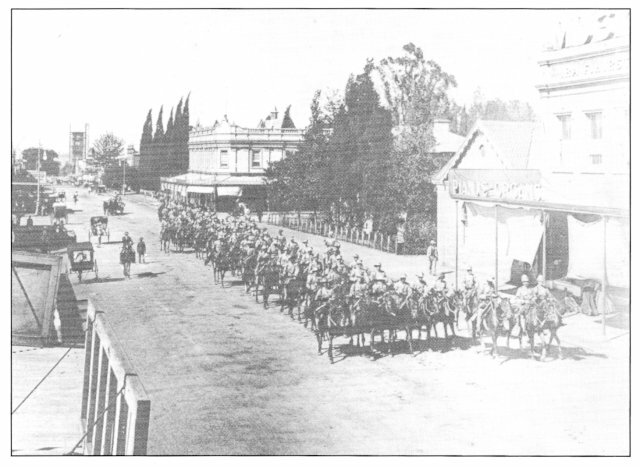 Gibson, G F, The History of the Imperial Light Horse in the South African War, 1899-1902 (Johannesburg, 1937), p 166. 6. Pakenham, T, The Boer War (London/Johannesburg, 1979), p 416. 7. These are the rebels to whom Hawkins refers as being disarmed. 8. Gibson, History of the ILH, pp 171-2. 9. Maurice, F, History of the War in South Africa, 1899-1902 (London, 1908), Vol III, p 182. 10. Midgeley, J F, Petticoat in Mafeking: The Siege letters of Ada Cook (J F Midgeley, 1974), p 145. 11. Gibson, History of the ILH, p195. 12. Pakenham, The Boer War, p 540. 13. Gibson, History of the ILH, p 219.